It’s a cold one here in Calgary today, and nothing warms us up more than a heartfelt review from one of our past cherished clients. Thank you for your kind words Dana & Tom, we wish you a wonderful future as husband and wife. Let me preface this review by saying that I am probably a pain-in-the-arse type of bride to work with. It’s not that I’m a bridezilla or a nitpicky about details, rather, I tend to be flakey and can drop the ball on the communication front. So with that in mind, let me additionally say that Dione Dashoney from Plush Invitations is an absolute SAINT. She was exceedingly patient with me, always positive, and the one “big” crisis I had, she mitigated, found a solution for, and defused the situation before it even became a thing. 🙂 All of our business was conducted via email, and even though Plush Invitations is in Canada (I am in the United States), we received all of our products in a very timely manner and packaged really well. Because of the time constraints that I had and the distance, Dione did not send me any physical proofs, but the pictures she sent were good enough. Still, I was BLOWN AWAY by how gorgeous my invitations were when I received them. They are so stunning, so detailed, and just well, is the epitome of elegance and couture. I knew that I wanted a gatefold invitation, but I had really no idea that from the gorgeous thick quality of the paper to the silk-wrapped folio of the invitations, how nice it would look all put together. I cannot even begin to say how many compliments I received for the invitations – people called me up to talk about them and I had guests bringing the invitations to work so that they could show them off to other people, lol. Dione was wonderful to work with. She was prompt with replies, had great suggestions, and overall has a solid work ethic. 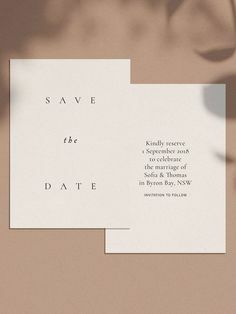 I would recommend Plush Invitations to anyone who is looking to create unique invitations for their wedding that nobody else will have. Stay tuned, as we will be featuring the invitation in its entirety in the upcoming weeks. Table Talk Events by Design. They wanted an invitation that reflected the intimate, laid back style of their wedding. They requested an unconventional layout that incorporated the rock n&rsquo; roll theme of their wedding (the groom has a concert ticket stub collection that inspired the theme). The end result was a billboard inspired invitation &ndash; graphic, fun & so different. The unique fold out style kept it compact yet allowed for all of the wedding details & events to be on one sheet. This was such a fun project to work on &ndash; and yes, this was the first time we&rsquo;ve ever used angel wings on an invitation! The invitation folded up to a standard 5″ x 7″ package. The 2-way gatefold invite – with a tear off RSVP card. A backstage Pass to the Rehearsal Dinner and Map detail.